Out! 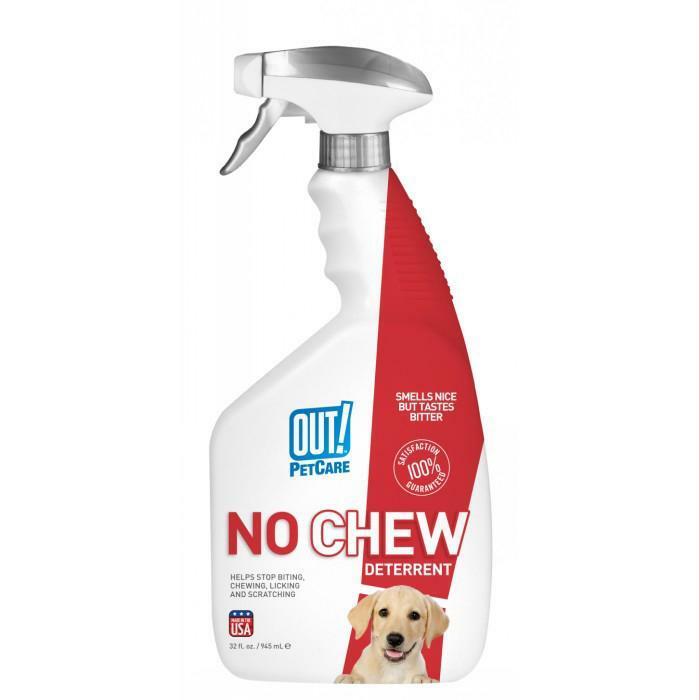 Petcare - 'NO CHEW' DETERRENT SPRAY 945ml - 060_BEHAVIOUR & TRAINING, No Chew Spray - Product Detail - Prestige Pet Products Pty. Ltd. The OUT! Petcare No Chew Deterrent Spray uses a non-staining formula that smells nice but tastes bitter to discourage chewing. This product is alcohol free and it is great to use in discouraging biting, chewing, licking and scratching!